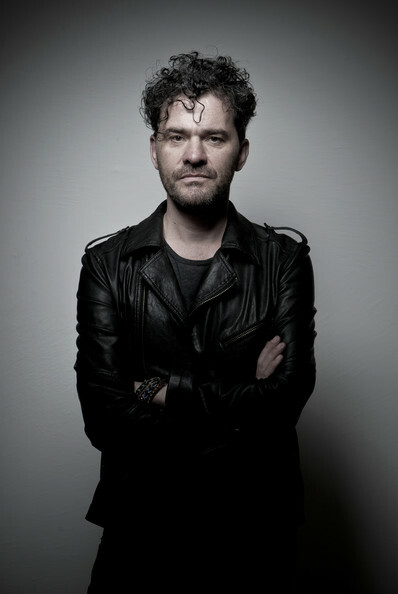 ​Mark Cousins is an Irish director and occasional presenter/critic on film. He interviewed famous filmmakers such as David Lynch, Martin Scorsese and Roman Polanski for the TV series Scene by Scene. In 2009, Cousins and actress/director Tilda Swinton created a project where they mounted a 33.5-tonne portable cinema on a large truck and hauled it manually through Scotland’s high country. The result was a traveling independent film festival, which was featured prominently in a documentary called Cinema Is Everywhere. The festival was repeated again in 2011. His 2011 series The Story of Film: An Odyssey is a 15-hour (15 episode) history of film that has screened on More4 (TV) and continues to make the rounds of international film festivals, including Toronto 2011 and Telluride 2012. He has directed documentaries on subjects ranging from Neo-Nazism to Iranian cinema. His four film books have been published internationally. He co-directs the 8 ½ Foundation, which is devoted to fostering cinema appreciation in children, with Tilda Swinton. He is an Honorary Doctor of Letters at the University of Edinburgh, served as Director of the Edinburgh International Film Festival, which he took to Sarajevo during the siege, and co-directed Cinema China. He co-founded the charity Scottish Kids are Making Movies, and is also co-director of 4 Way Pictures with Antonia Bird, Robert Carlyle and Irvine Welsh. Mark learned of The Albanian Cinema Project through Thomas Logoreci and visited Albania with our team in November 2012. Mark recently released the feature-length essay film Here Be Dragons (2103) that centers on his first experience visiting Albania. His documentary, A Story of Children and Film (2014) has been instrumental in bringing ACP's second feature film restoration of Tomka and His Friends to international prominence.